Digital marketing sending thousands of qualified visitors to the website each month! 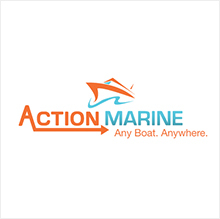 Action marine offers common boat hauling, boat moving and maintenance service but also offers a very unique service called the slip swap. 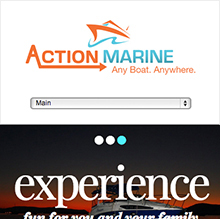 By placing your slip ( were you boat resides) in the slip swap pool Action Marine will transport your boat to other lakes allowing you to easily trade your slip with other slip swap users. This allows you to explore whole new lakes and embark on all new adventures! 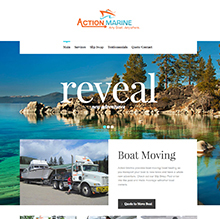 Red Cherry provided branding, logo, photography, website design, custom software and digital marketing campaigns. 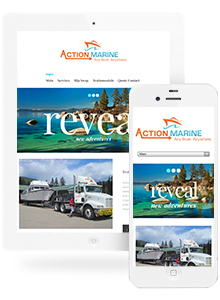 Responsive website that renders on mobile, tablet and desktop. 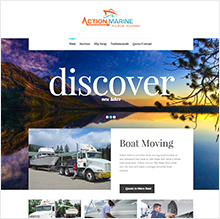 Custom software for Slip-swap pool for trading boat moorage.